New domains are being created all the time. If you wish to check the availability of these new domains via whois, read on. 1. Find the whois server for the new domain in question. This is often listed in the IANA root database. 7. Save the file on you server. 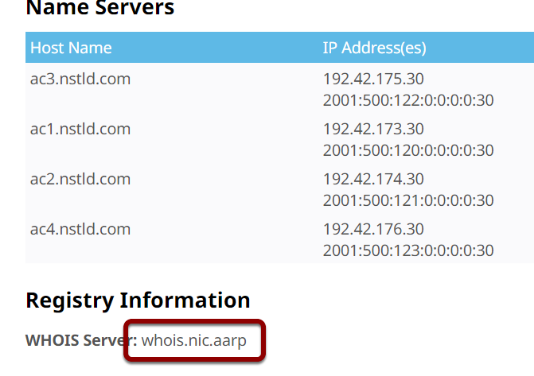 WHMCS is now able to check the availability of .aarp domains.